There are news doing rounds since yesterday that India conducted a special operation inside Pakistan to avenge the Uri terrorist attack. This was first published in an exclusive report by Quint. GoI has neither validated nor denied anything about this operation, which is again a very significant step (given how NDTV was given exclusive coverage during Kargil leading to big blunders by giving out Indian strategy) in maintaining operational secrecy. If it really happened (which seems to be the case given how things are signalled), then it is brilliant strategic move and signifies India has come out of age and is ready to sit on the world stage with big boys. 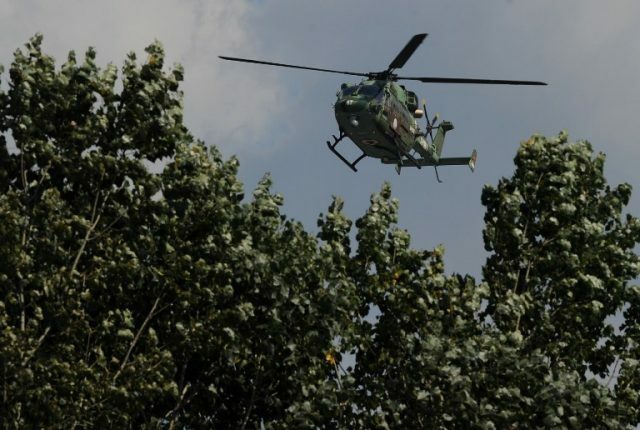 – India could have used irregulars and hidden assets in Pak for the same operation but that would not have delivered the same signal as this raid would evoke in Pakistan Army’s mind. Using irregulars from Af-Pak border to come in and do the job would not generate awe and change in Indian’s stance of the past. – Or India could have shelled Pakistan border like it did in 2015, but would have been called escalation and amounts to declaration of war without saying so. – Now the onus is on Pakistani army to respond and show it is not paper tiger. It is brilliant from strategic and diplomatic point of view. – It shows Pak army weak and in a way calls out their nuke bluff, if Pak does not respond heavily to Indian instigation by selecting time and place to shoot down Pakistan soldiers. This is probably the way to fight this war for India. You come and kill our army men, and we will just raid across and kill equal or more of your regular troops. While you send irregulars (for deniability), we send regulars (but don’t say anything). Could their have been a better way to show how impotent Pak Army actually is? – It is not declaration of war but if Pakistan wishes India will give it war. – It completely changes the defensive strategy India has used forever against state sponsored terrorism. This generates collateral damage and loss of face, the only thing which hurts Pakistan Army. – To save its face if Pakistan owns up terrorists as its regulars (which basically destroys its Kashmir policy of past three decades), then it is overt declaration of war. On the other hand, India by sending its regulars shows that it has joined the league of big boys and does not care about world opinion when it comes to national security and delivering hard message to its enemies. Indeed war should happen on time and place of India’s choosing.